Islamabad (December 12, 2017): The federal government on Tuesday has issued the notification of 13 officers, who have got promotion from Grade-21 to Grade-22, however most of the officers will remain posted on their present slots despite promotion. The Grade-22 secretary federal tax ombudsman Khalid Ikhlaq Gillani asked to report establish division while prime minister’s secretary Fawad Hassan Fawad has been promoted from Grade-21 to Grade-22, however he will remain posted as PM secretary. 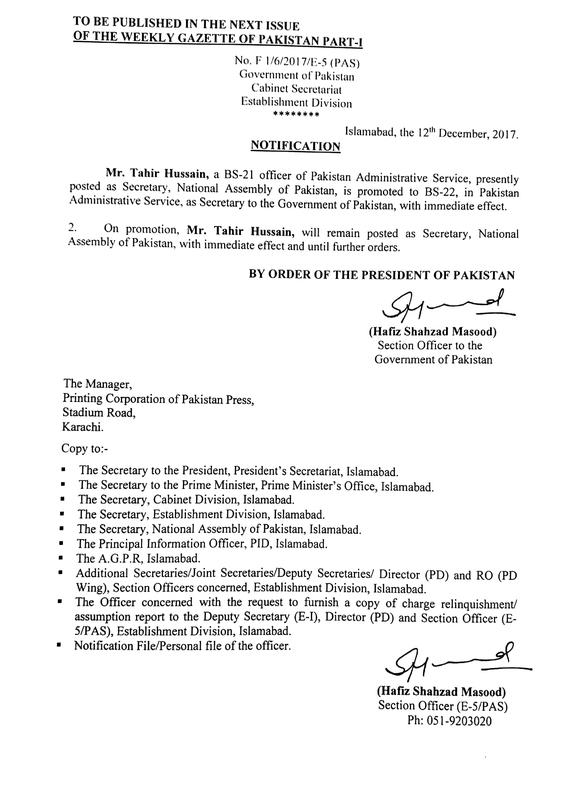 Tahir Hussain was also promoted to Grade-22, however he will also keep his post as federal secretary of National Assembly. 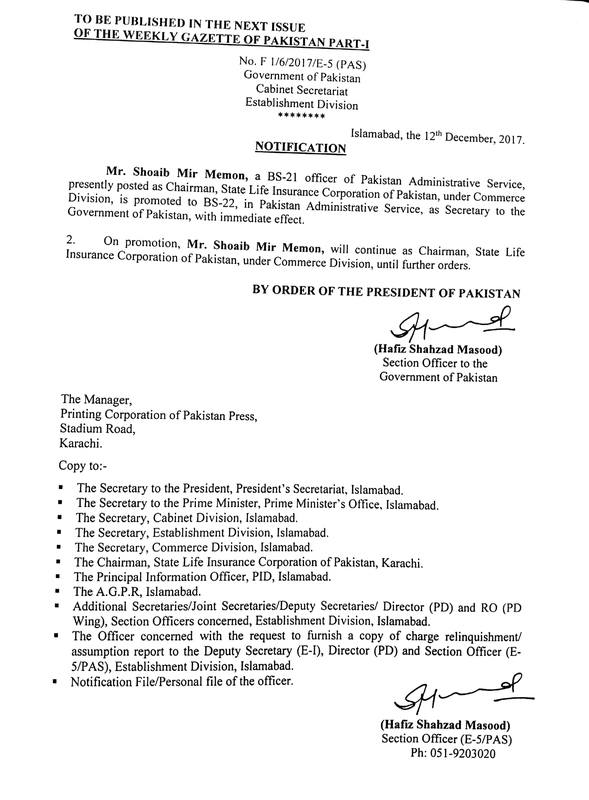 Shoaib Mir Memon promoted from Grade-21 to Grade-22 but he will continue hold the post of Chairman State Life Insurance. 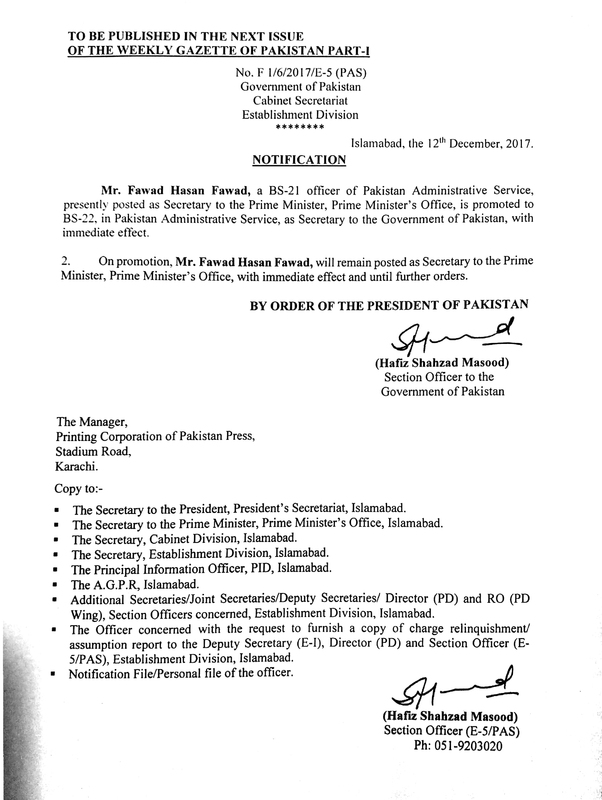 Babar Hassan Bharwan promoted and posted as secretary Housing and Works. Jawad Rafique promoted to Grade-22, however he will remain hold the post of Chairman NHA. 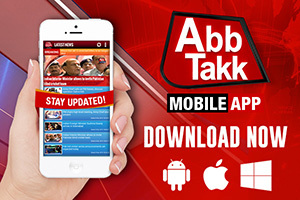 Muhammd Jahnzaib Khan services transferred to Punjab government, Jalal Skindar will continue hold the post of secretary petroleum, Rizwan Ahmed will also retain the post of National Shipping Corporation, however Muhammad Saqib Aziz promoted from Grade-21 to Grade-22 and also posted as Postal Services. The police service officer Khalid Dad promoted to Grade-21 to Grade-22 and posted in intelligence bureau as Joint DG. 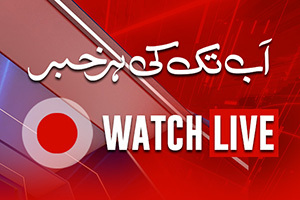 Bashir Memon promoted to Grade-22 and remain retain the post of Director General FIA, officer of secretariat group Pervez Ahmed Junejo promoted to Grade-22 and posted as executive director national institute of population study.